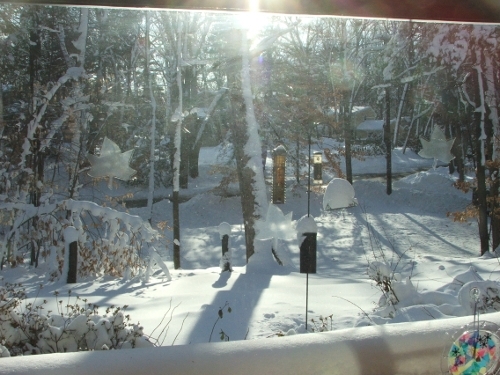 This is what the view out of the window looks like at the moment. Glorious! DH and I spent three hours digging out our driveway on Wednesday (1 1/2 feet of heavy snow over about 2000 sq.f) and it had been a long time since I had been that exhausted. As I trudged back up our hill and felt like just falling down, face first into the snow, like you see in the movies. Instead I took a hot shower and took a two-hour nap. But where are the plants – the overwintering peppers, the herbs – you might ask. Good question. The plants started out with a population of aphids and whiteflies from the beginning. I kept a lid on the infestation by washing them once every four weeks. I’d never get all of them, of course, so they would repopulate, but they never got to affect the plants too badly. Then we left for India for three weeks and took a week to recuperate and BAM: population overshoot! It was pretty bad and some of the habaneros might not survive. 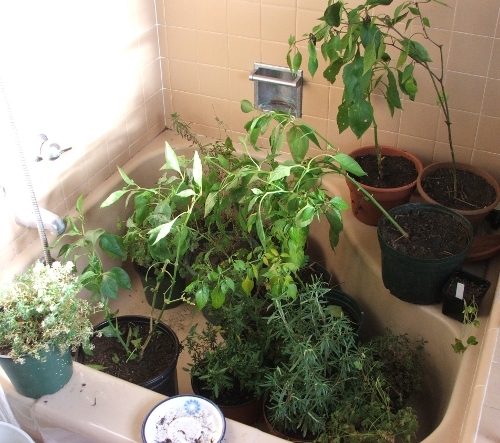 But some of these pepper plants are overwintering for the second time, and they are my best producers, so today I washed the whole lot again and sprayed neem oil. Let’s hope it does the job without stressing out the plants too much. 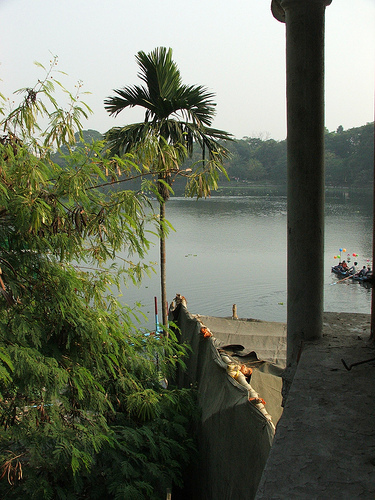 There was a neem tree right in front of my parents-in-law’s flat in Calcutta, where it is thought of as the Sacred Tree. The leaves taste really bitter. DH told me a horror story of how he had to eat neem leaves fried in oil. What a contrast! 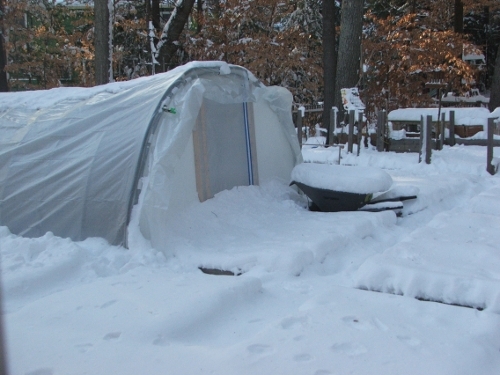 Well, I guess I won’t be visiting the hoop house any time soon… But I will be at the NOFA MA Winter Conference tomorrow. Maybe I’ll see you there? I’ll be the one wearing a red scarf! I used to have a friend who swore by neem oil, but I’ve never really researched it. It’ll do those aphids in do you think? Enjoy your conference!